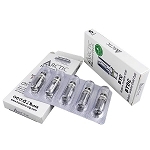 The JC01 Replacement Pods are authentic OVNS brand refillable pod atomizers made for use with the JC01 Pod System and other compatible devices. They are made available in two unique versions each intended for use with a different material. Whether you are using thin oils or salt e-liquids, the JC01 has you covered. The 1.5ohm pod option includes three refillable pods that have a maximum 0.7mL capacity. These pods have a premium wickless ceramic core for quickly heating thin oils with impressive results. You also have the 2.0ohm option for liquids. 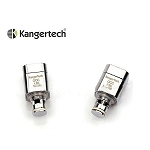 It has a standard coil structure with organic cotton style wick that deliver a robust flavor and thick vapor. Pick up your pack of 3 replacement JC01 pods today in your choice of style.